My first visit to Hong Kong was five years ago. I remember not being all that impressed with the city. Granted, I was just stopping through after 3 glorious weeks of eating in Vietnam, Cambodia and Thailand, but I remember leaving the city feeling a little bit let down. 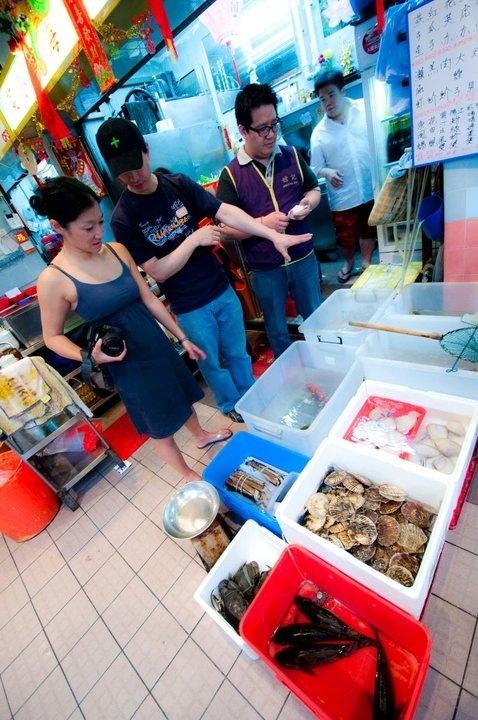 I knew that Hong Kong was an amazing food city but it just seemed so inaccessible. As I researched for this trip, I kept feeling like I was coming up empty-handed. 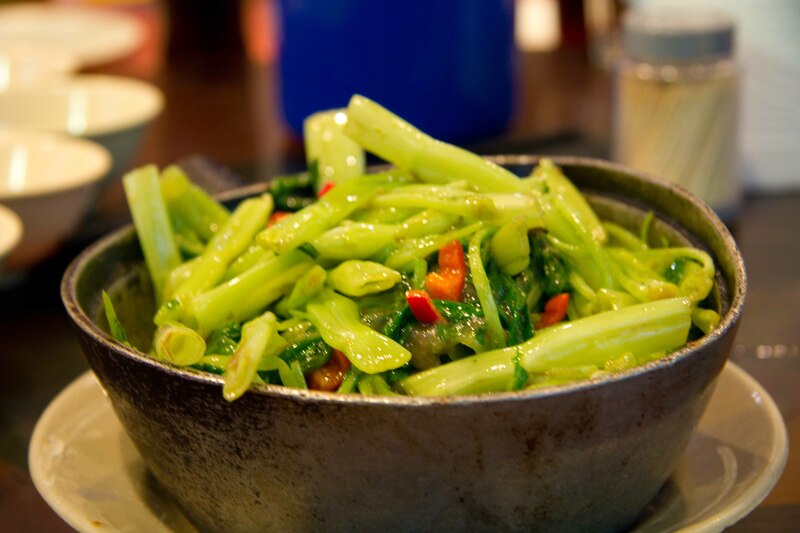 Most advice was pointing me towards high-end dining, and this trip wasn’t that kind of trip. Other recommendations came with such mixed reviews that I wasn’t confident enough to put them on my “list”. 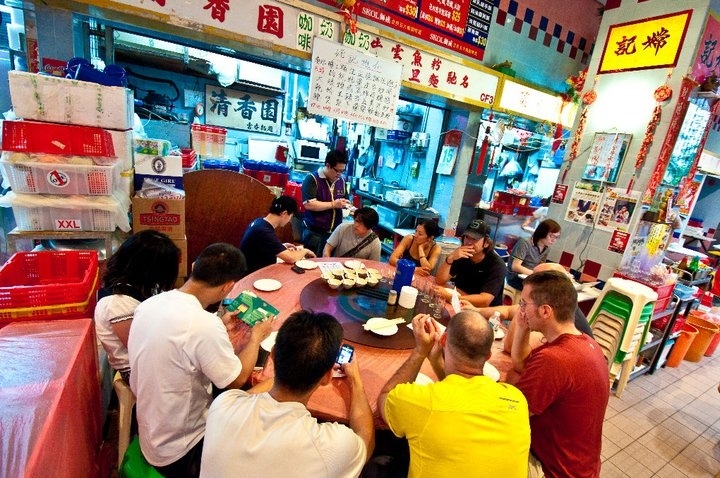 In the end, I depended on my friends in Hong Kong to guide my dining. Lucky me though because I have some food loving friends. The suggestion of going to a wet market in Happy Valley and then to the race track came from 2 of my friends and it sounded like fun, so I gathered up some of my friends and we headed out for an adventure. 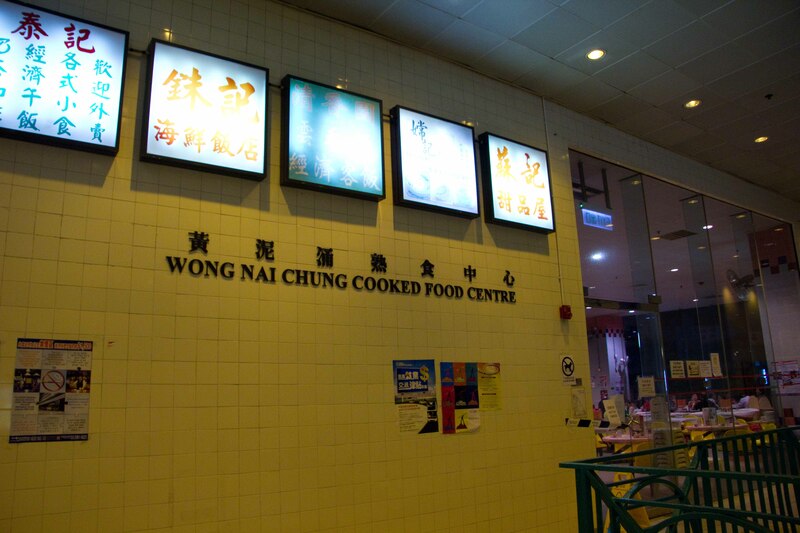 The Cooked Food Centre is located on the second floor of the Wong Nai Chung Market. Inside the food centre, there were many small restaurants that seem to share one large open space. The plastic tables and stools made me feel a bit like I was in a cafeteria, but I was excited in the anticipation that I was going to have an “authentic” experience. 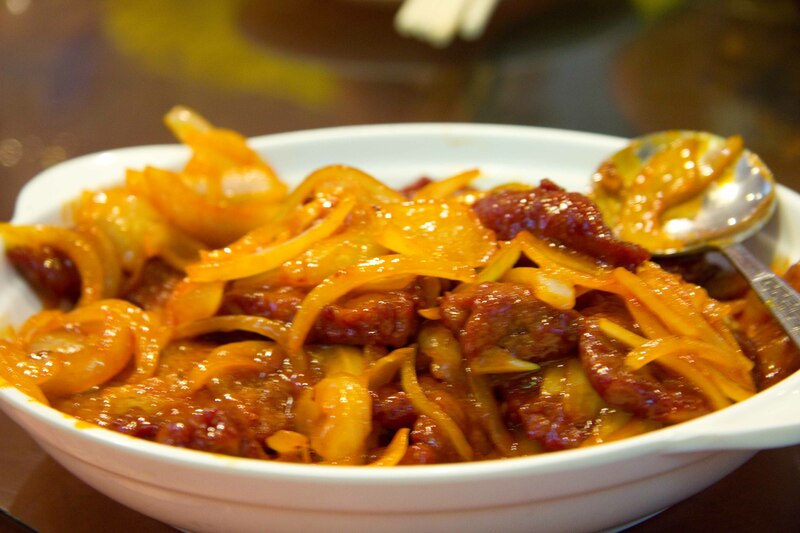 Beer braised pork and onion – my favourite dish of the night that I couldn’t get a clear photo of. 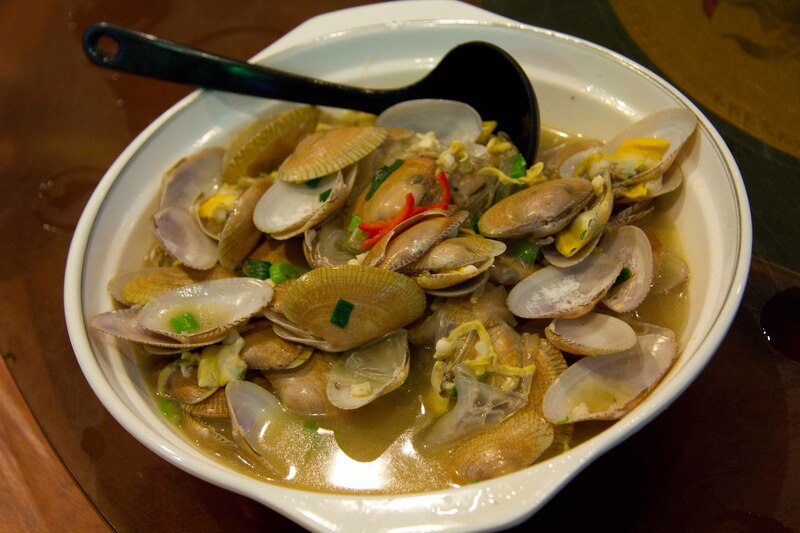 Clams – not as plump as the ones we get at home, so if you compare them, it only makes you feel disappointed. 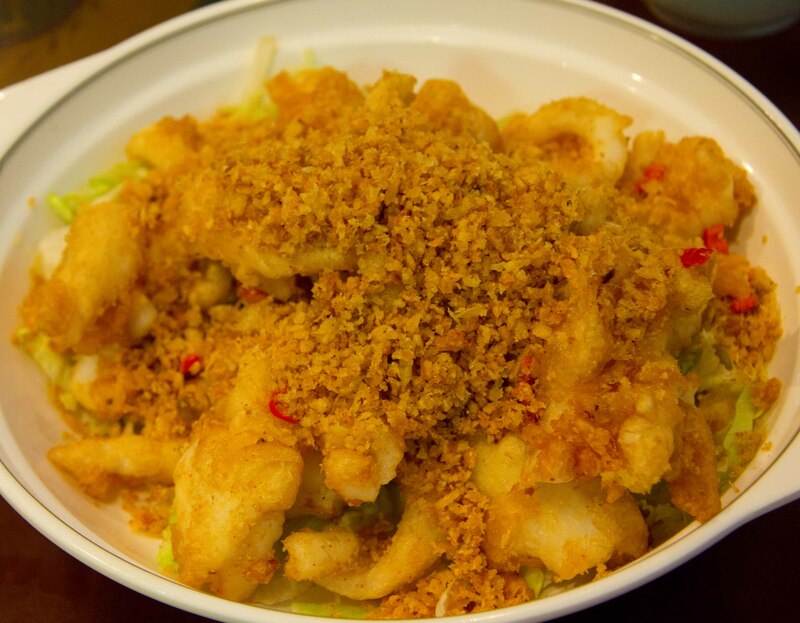 The most tender deep-fried squid topped with fried garlic. 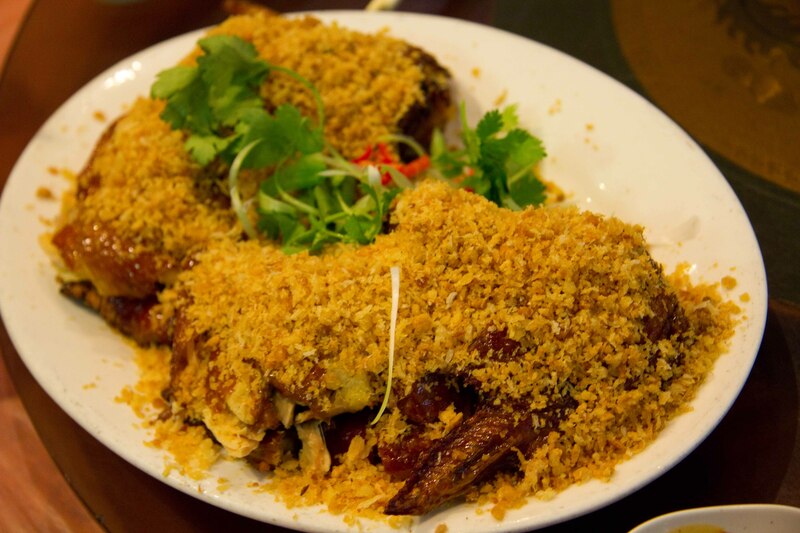 “Sawdust” chicken – the sawdust is fried garlic, the chicken bbq’d Chinese style. 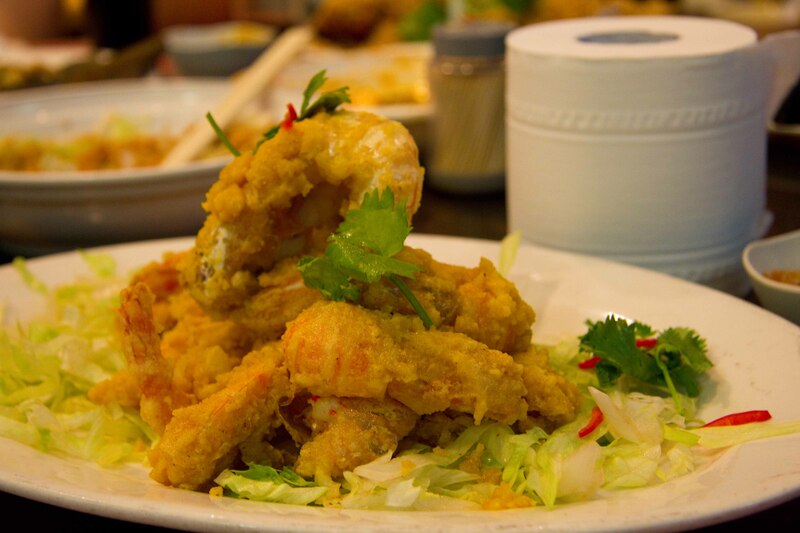 Fried shrimp coated in egg yolk batter. Roll of toilet paper on the table used as napkins. As you can tell, I didn’t do a great job of recording what each dish was actually composed of. 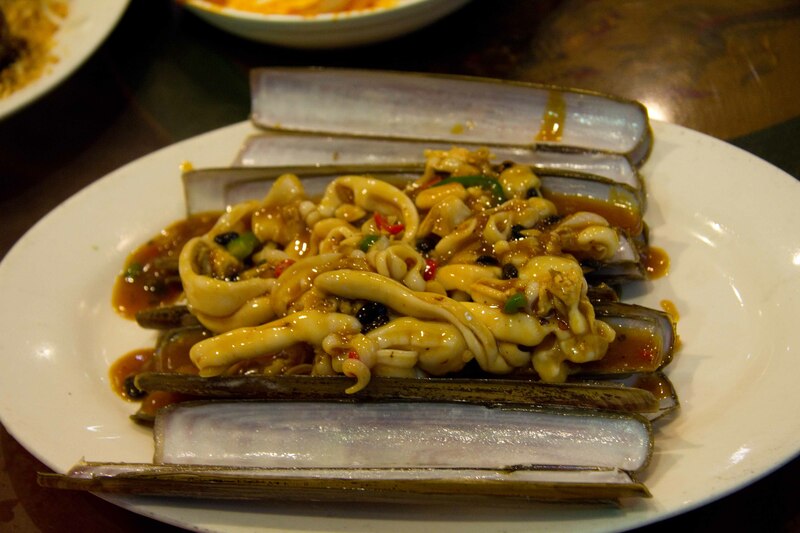 But this meal wasn’t so much about the food, (which was good) but more about experiencing local Hong Kong flavours. To end the night, we visited the Happy Valley Race course which was the biggest horse track I’ve ever seen. Put it on par with something you’d see in Nascar, it was really that big. 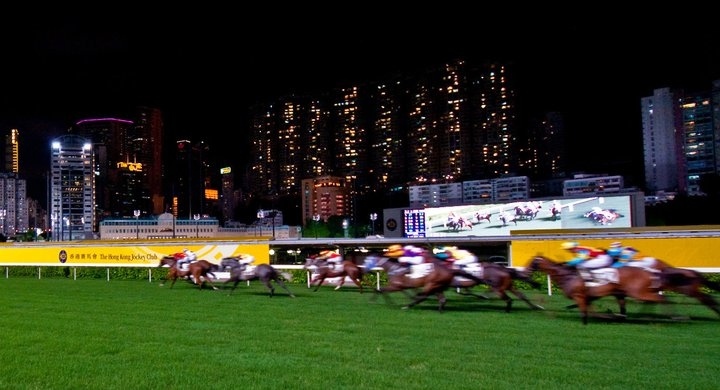 We made some bets on the ponies, but none of us came up with anything but some fond memories of a fun night out in Hong Kong. * Thank you Vince for letting me use your photos for the evening. Your wide-angle lens and the fantastic vibrant colours helped to capture the feeling for the evening. My brother’s got a great photo project he’s working on: vbando.wordpress.com – 100 days to go!